Ready to install the inner/outer bearings on my '25 roadster wheels. 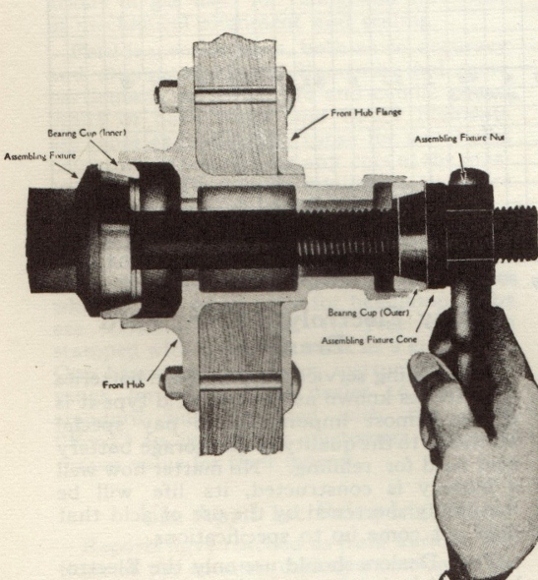 How is the inner bearing race installed? Board and mallet or a press? A press is better if the wheel will fit in it, but I've done it with a hammer too. Grease the surfaces first. I used a threaded rod and one of the bearings to press them in. A brass drift and light hammer blows will work if you spread the blows around the circumfrence to drive the race in evenly without getting it crooked in its bore. If you have the old race, just put it on top of the new race and use a hammer to pound it in, sort of like Mark states above. Goes in nice and straight that way with no harm to the new race. I do the same thing as Dave, only I grind some off the outside edge so I dont have to worry about it getting stuck. Mark's brass drift is the intuitive tool to use. 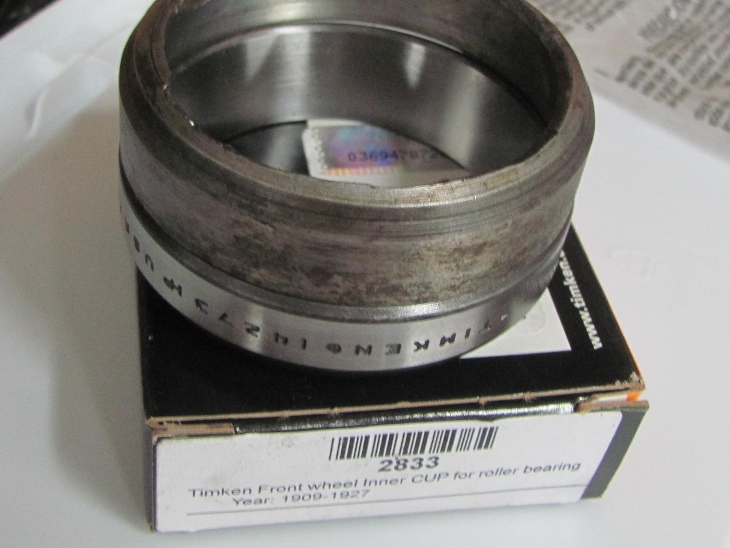 Being softer than the race, it is less likely to damage the bearing as it is driven home. However, in a talk at our local club, a rep from a bearing supplier warned against the practice. He pointed out that brass is much more likely to chip, and if those chips were missed and the bearings assembled as usual, there could be disastrous consequences. So I changed from a brass drift to a 3/8" steel pin punch. 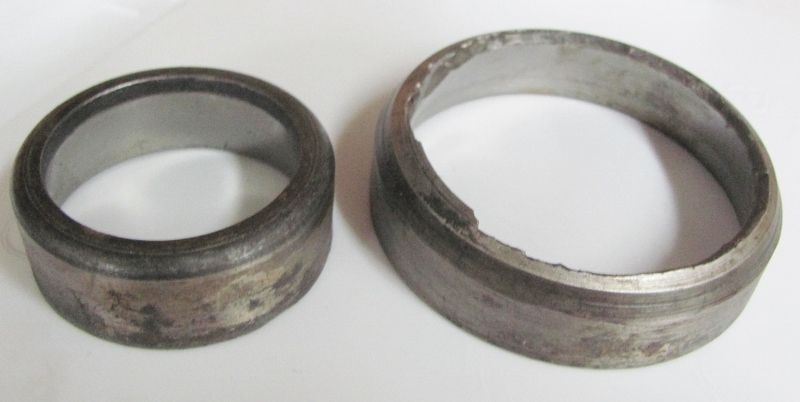 The punch is still softer than the bearing cone. The 3/8" size is wider than the bearing cone and it is easy to keep its edge against the wall of the hub and just use the wall as guide as you move the punch around the cone to drive it home. It works for me. I can see the ground-undersized-old cone would work too. Same here, keep in the tool box a set of old races, ground down on the circumference so they can be used as drivers for the front hub races.